While a great deal of media attention focuses on the political considerations involved in the contemporary debate over comprehensive immigration reform, the legal questions over whether the President can act to address these pressing issues unilaterally generally gets less discussion. However, a group of legal experts on these issues just released a letter contending the President has broad, expansive authority to provide some temporary relief for immigrants facing removal or deportation. 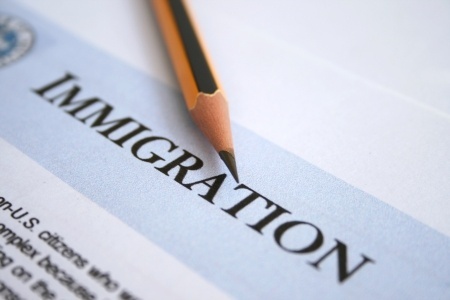 The document issued by the American Immigration Council and the National Immigration Law Center — was signed by over 130 professors, attorneys and experts, from many parts of the country. They point out that Presidents have always had significant prosecutorial discretion to establish a system which sets the parameters for utilization of limited enforcement resources. The letter suggests that the type of measures set forth in the Deferred Action for Childhood Arrivals (DACA) program could be expanded to thousands more undocumented immigrants. The letter goes further to point out that this kind of prosecutorial discretion is rooted historically in Constitutional interpretation, statutes and regulations issued by previous administrations. In fact, it outlines how the idea of deferring deportation or removal action predates DACA. Other Presidents also took executive actions to defer such enforcement options generally for humanitarian purposes where certain groups of people faced special hardships to a confluence of circumstances often beyond their control.